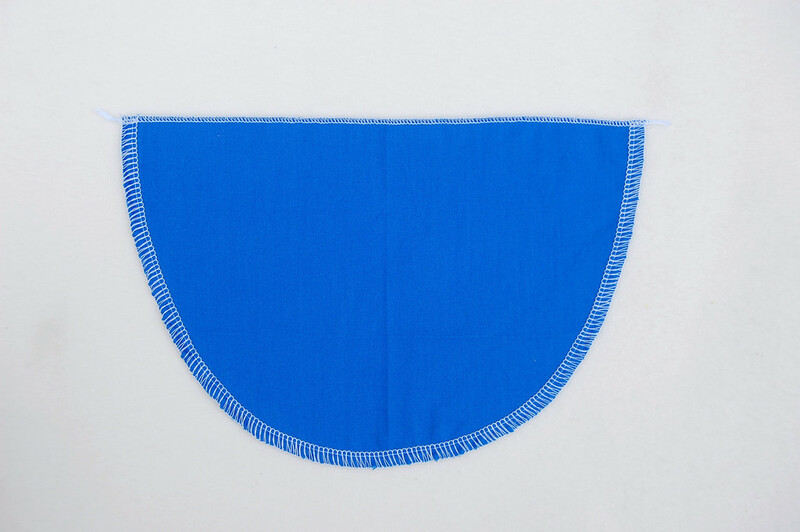 This is another variation of the simple curved patch pocket - we're shirring the opening i.e. using elastic thread to scrunch up the top edge and still leave it stretchy. Start out with a piece of fabric of this shape. 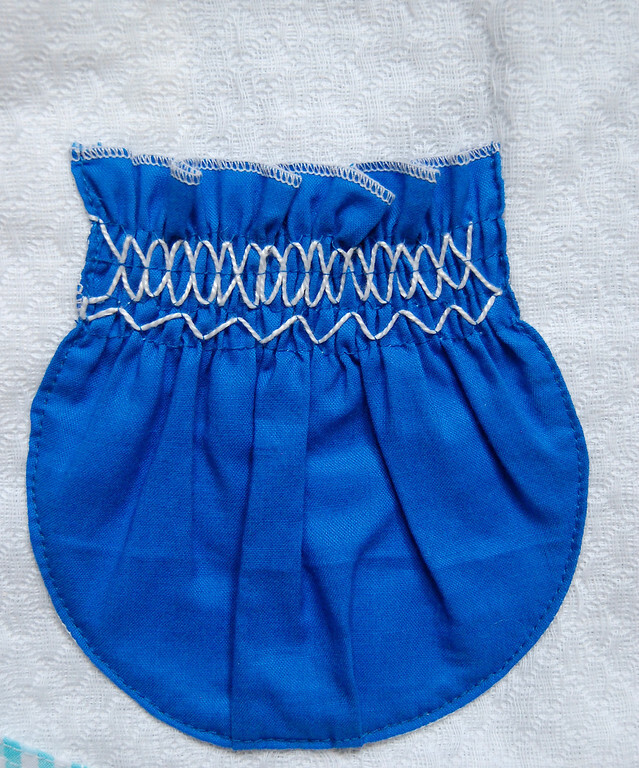 Its width should be at least twice the finished width of the pocket. 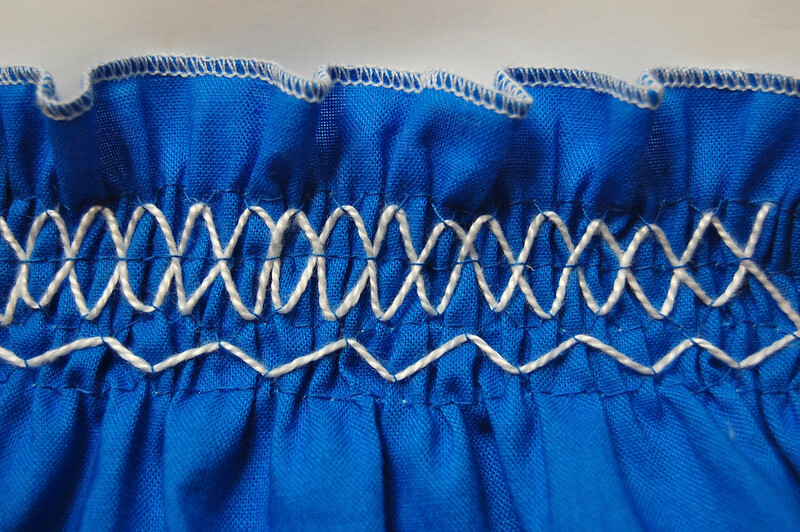 Shirring is an inexact technique in that one cannot predict the ratio of contraction - it depends on the tension of the threads. I did a rolled hem on the top edge and serged the curved edge to finish them. 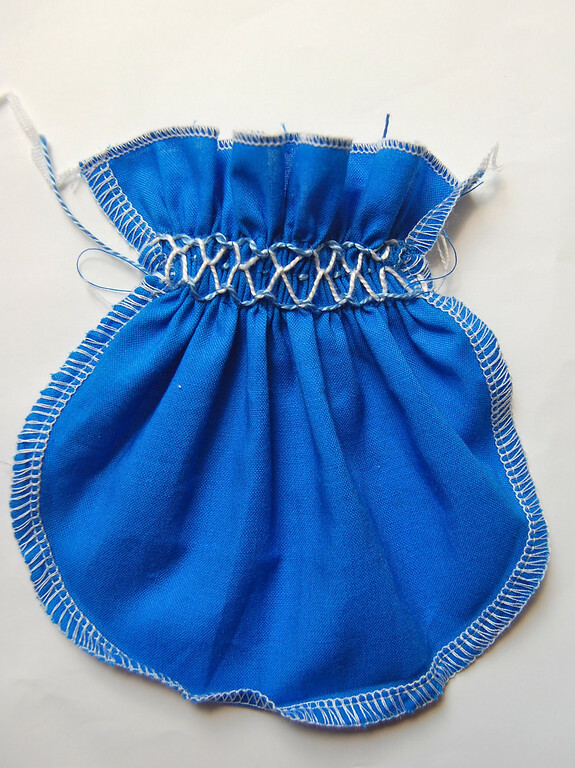 Your pocket is essentially finished, and just needs to be attached to the garment by folding in and top-stitching down the curved sides. But unless you planned ahead and used contrasting colored thread, it's awfully booooooooring. 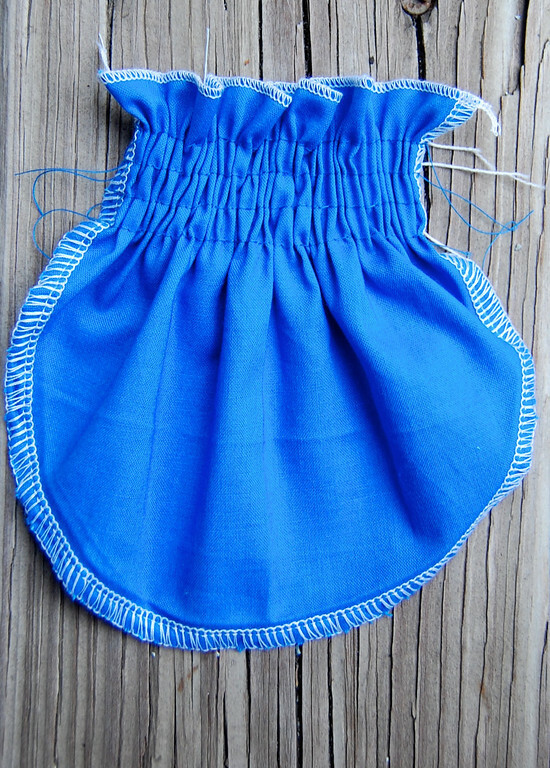 Because the shirring ended up being so tight, I stretched the opening a little so it wouldn't look quite so much like an old-fashioned money bag. Note that this is shirring. 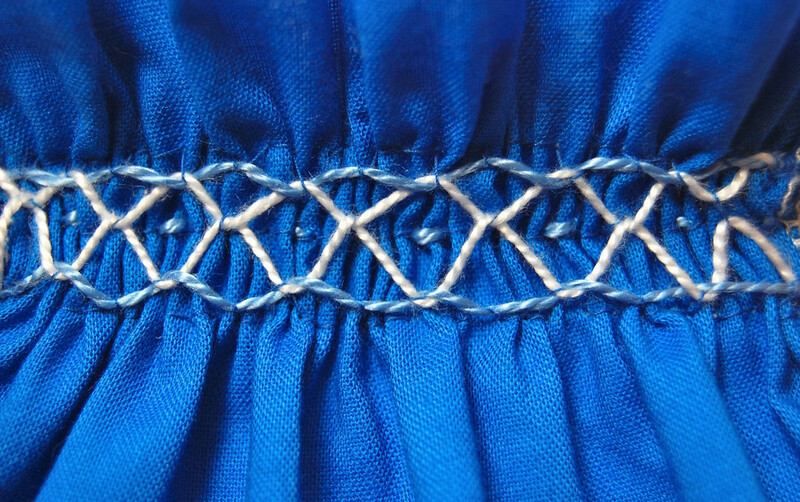 Not the same as smocking, which does NOT involve elastic thread, and whose stretchiness is entirely the result of the dense pleating that smocking produces. Very common mistake to use the two terms interchangeably. 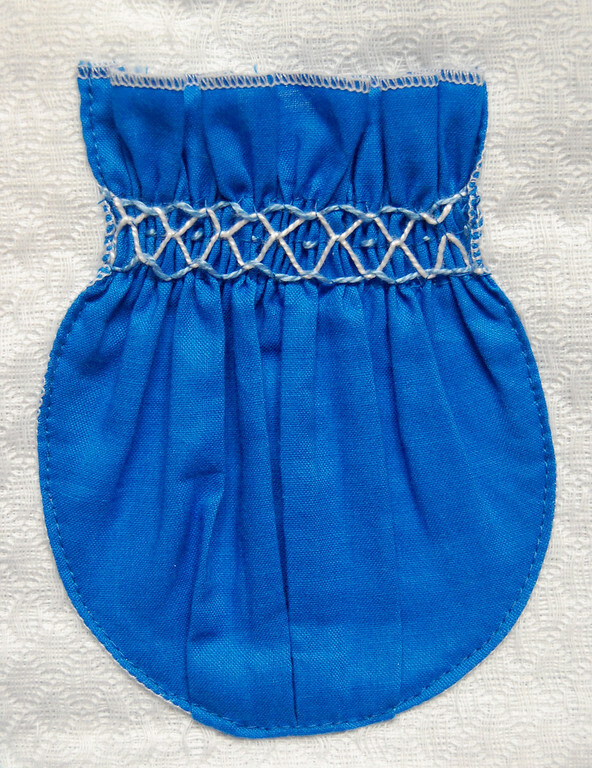 See here and here for more on smocking. 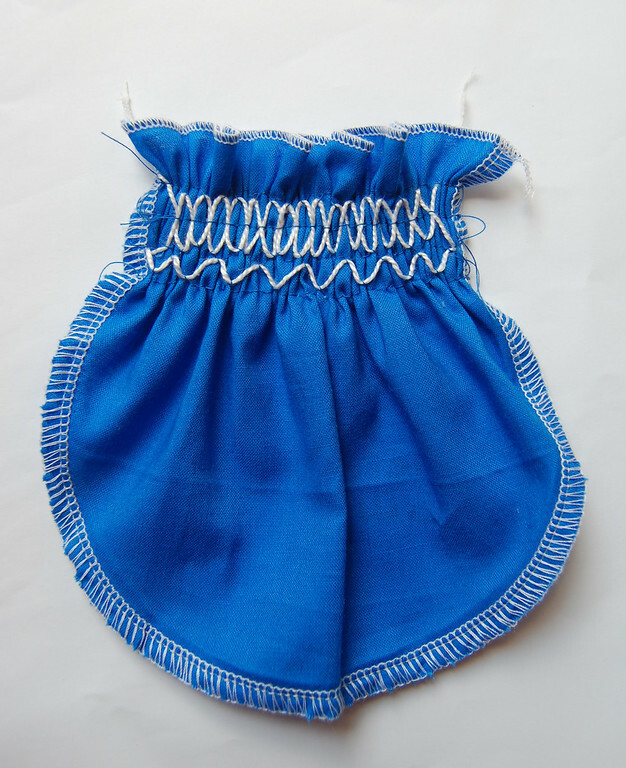 We'll be doing a smocked pocket later on in this series too! You are killin' me! I want to chuck all of my responsibilities and make nothing but pockets for the next five days! I'm giving away a little bit of culture!